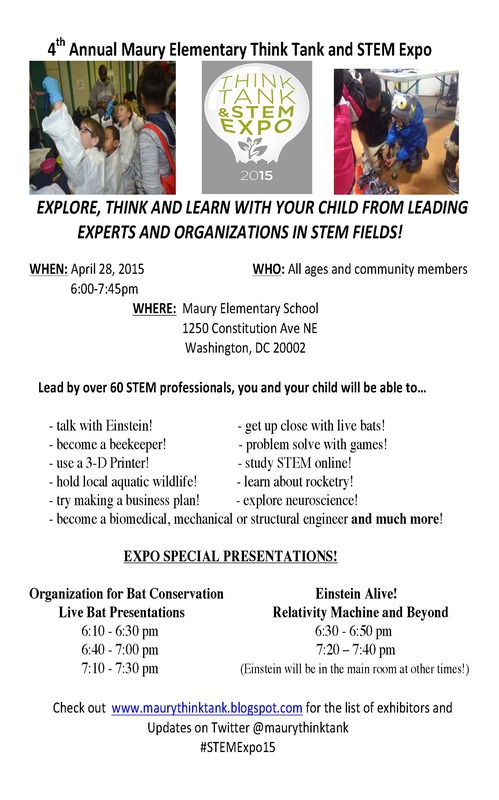 Maury Elementary’s Think Tank and STEM Expo is April 28! Join us and spread the word (print this flier and share with your school communities! ).